Age and stress over time result in developing a stiffer back, and stiffer backs can easily become weak and misaligned, or more easily injured. However, using Ceragem to massage your spinal area can help prevent this stiffening and weakening, while also offering pain relief, improved circulation and a more relaxed body and mind. CERAGEM products are designed to help you live a pain-free, happier, healthier, more active life. The Master V3 has been clinically proven to reduce back pain, with no side effects. 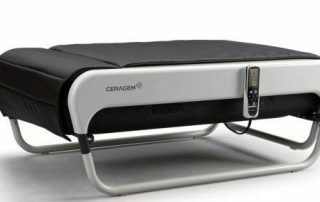 CERAGEM uses Automatic thermal therapeutic massage to stretch and stimulate the spine using solid jade, far infra-red heat, and acupressure. Research shows that radiant infrared heat increases blood circulation in the body, which in turn, helps to improves your overall health. During a CERAGEM V3 session you will receive an optimal level of infrared heat. Panels located in the main and lower mats also generate infrared heat to further benefit your legs, knees, ankles and feet. 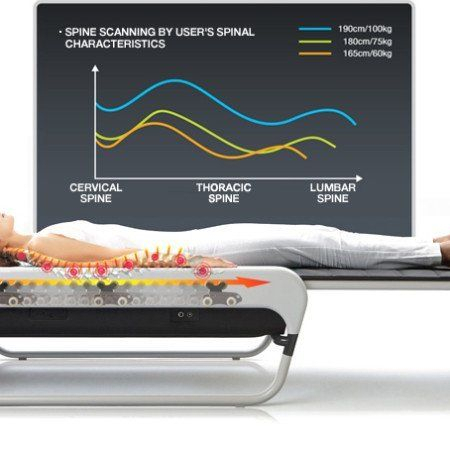 -Intelligent spine scanning and APMS (advanced projector movement system) The V3 senses your spine’s length and curve to provide a massage tailored just for you. 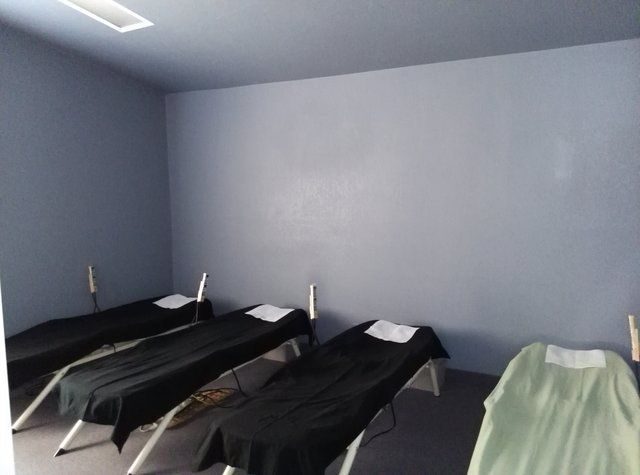 -Choose from multiple massage programs based on alternative medicine ranging from fully-automatic, semi-automatic, to manual. -Sound therapy to soothe your mind and relax your body. Around the world, there are millions of people who benefit from CERAGEM. 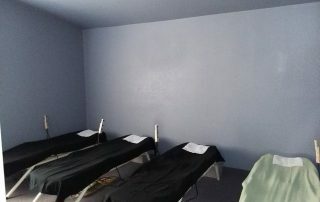 They not only go to one of the thousands of CERAGEM centers, they also learn ways to use CERAGEM in their own homes! In addition, please be aware that CERAGEM massagers have received FDA approval for their ability to provide temporary relief for minor muscle pain, joint pain and arthritis pain. Ceragem is a Class II 510K medical device approved by FDA for stress relief and blood circulation. 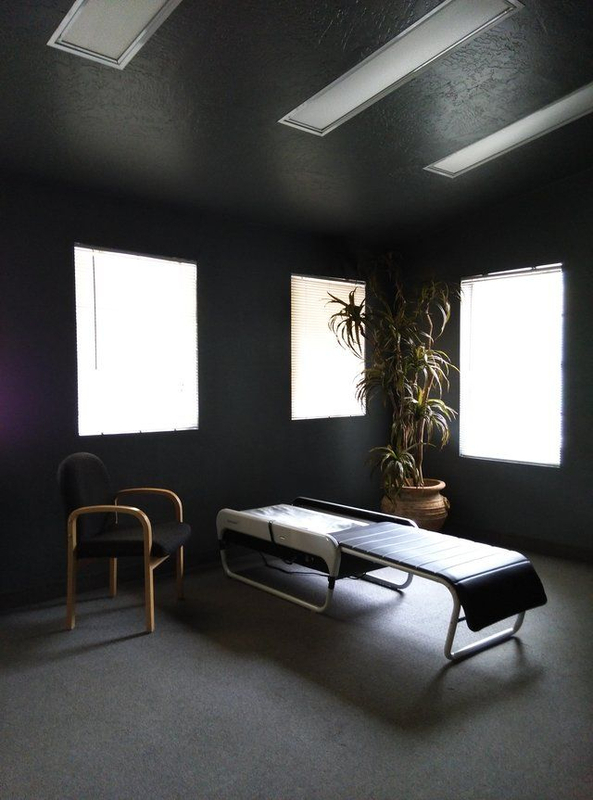 Based on the beliefs of Oriental medicine that our body is best treated wholly with balance, the Ceragem uses acupuncture, Chiropractic stretching, massage methods and employees far infrared heat (FIR) to help your body to heal itself. The acupuncture is based on the theory that there are 430 points in our body, all of which are related to certain body parts & organs. The most concentrated areas of acupuncture points is the spine where there are 96 of them. 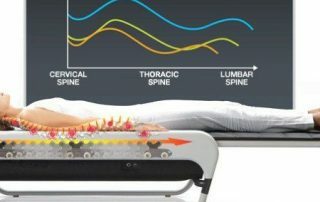 While and acupuncture doctor feels your body to find acupuncture points and puts a tiny needle to activate certain parts, the Ceragem uses “smart technolgy” to read your spine. Based on the length and curvature of your spine, it will calculate your acupuncture points. Everybody receives a customized treatment as nobody is like each other. There are 10 different modes for a full spine massage. Based on the mode you choose from, ceragem jade roller will move and stop at each acupuncture point as programmed combined with far infrared heat to enhance blood circulation. Far infrared thermal heat has another nickname and that is “Light of Life” because it is produced when stones and the Earth are heated up. Ceragem harnesses that power and can use it to fight inflammation. FIR is widely used in alternative treatments. Ceragem uses Jade to produce FIR. FIR penetrates deep into our body as much as 5 inches. Inside our body and even at the cellular level, it causes a vibration inside the cells and will help stimulate and excite the mitochondria, the power house, which works to rise your core body temperature. Research shows that our immune system is boosted by 5 times when our core body temperature goes up by 1 degree Celsius. Far infrared heat expands the blood vessels and speeds up your blood circulation one and a half times faster. Fast blood circulation helps to reduce pain levels. There is a reason why you lay on the ceragem without any pillow. 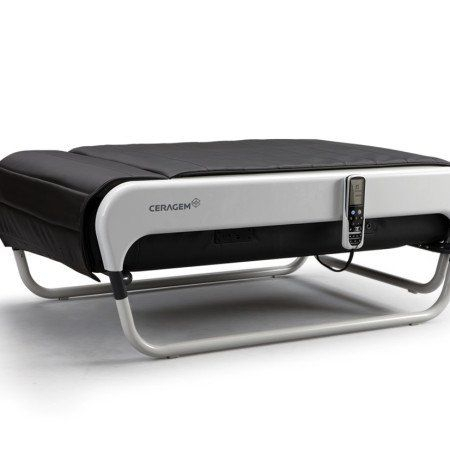 When you lie flat, the ceragem will push up on your back and causes a stretching of your spine just as a chiropractor might do. There are six different intensity levels you can choose depending on your flexibility. 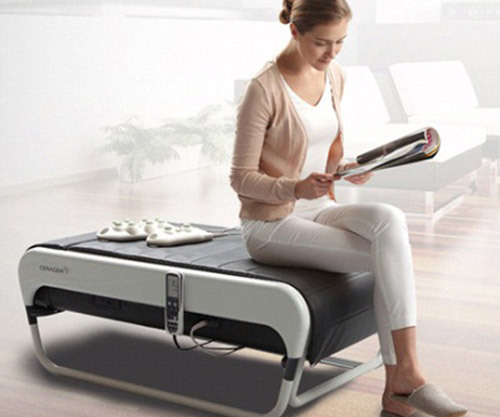 Incorporated with the far infrared heat, the stretching is done more effectively. Continuous use of the ceragem will help you regain lost joint Mobility. The heated Jade rollers moves along the spine and pushes itself into the muscles of the spine. Using your body weight combined with gravity can have a simular effect as a hand massage. The massage method will relax your muscles. Long term use of ceragem can improve your general overall health and can have a positive affect to chronic diseases thanks to improved blood circulation and decrease muscle imbalance. People who have neck pain, lower back pain or sciatica report they have noticed the difference before and after the treatment right away. 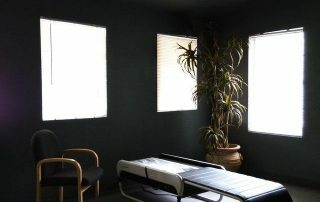 It is as if a chiropractor, an acupuncturist, and a massager have treated you simultaneously. Detox Body Cleanse offers the best body wellness solutions in Tempe to cleanse and detoxify your body to promote a healthier lifestyle.